Taiwanese electronic and PC maker Acer has updated its Spin 3 Notebook at its next@acer annual global launch event. 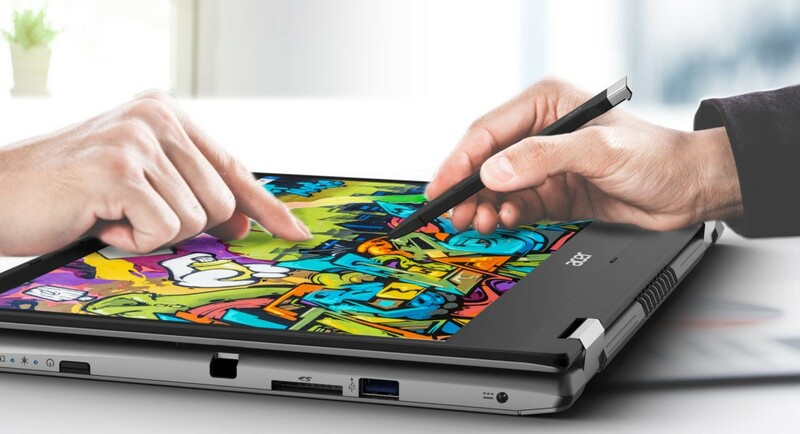 The Spin series is known for its stylish and convertible laptops aimed at the young professionals. The Acer Spin 3 comes with a slim built with a touch-screen display and it has a 360-degree durable hinge for the flexibility. The new Acer Spin 3 is priced at $499.99 (approximately Rs 34,655) and it will be available in North America and the European markets June onwards. The Acer Spin 3 is currently not available in India and the company hasn’t said anything about its India launch. However, it is expected to come to India as it is one of the biggest markets for electronics. 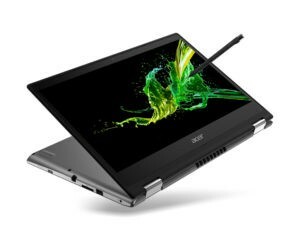 The updated Acer Spin 3 comes with a 14-inch Full HD IPS touch display with support for the company’s Active pen and direct touch on-screen input at multiple points of contact. The laptop has a 79% screen-to-body ratio. The new notebook is powered by an 8th Gen Intel Core i7 CPU paired with an optional NVIDIA GeForce MX230 GPU. The updated Spin 3 comes with up to 512GB PCIe SSD and offers up to 1TB of HDD storage. Additionally, it also comes with a dockable and rechargeable pen, and enhanced Wi-Fi 5 performance. The new Acer Spin 3 Notebook weighs 1.7 kgs and has a 9.6mm thin bezels. And since it comes in the Spin series of notebooks, the Acer Spin 3 comes with a 360-degree convertible display so that it can be used as a tablet. The laptop comes pre-loaded with Windows 10 and according to the company, it can give up to 12 hours of battery life on a single charge. There are two front-facing speakers on the new Acer Spin 3 Notebook which delivers a clear and loud sound in any usage mode. The Precision TouchPad of the Spin 3 also supports Windows 10 gestures and allows the users to work faster and smoother with accurate fingertip and gesture tracking. Since the device supports the Acer Active Pen inputs, it helps the user to take notes, draw or jot down things using the Pen. The new Spin 3 comes with a Gigabit Dual-band Wi-Fi 5 with MU-MIMO technology keeps the users connected.